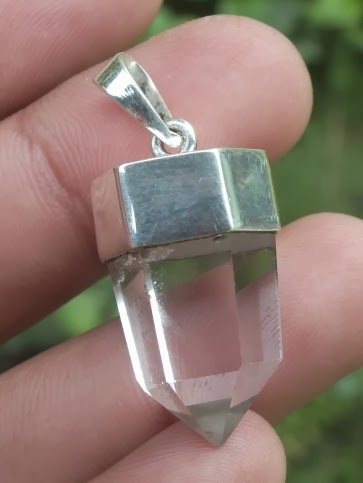 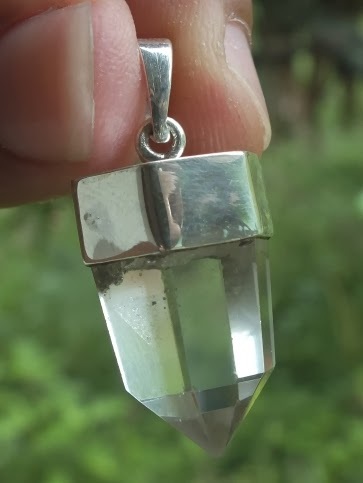 This is a nice Natural Crystal Pendulum set on a good hand-made sterling silver pendant. 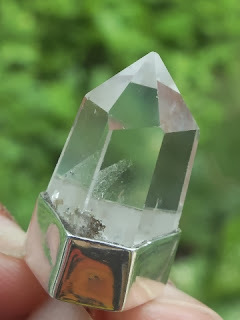 Natural Quartz inclusions can be seen inside the crystal. 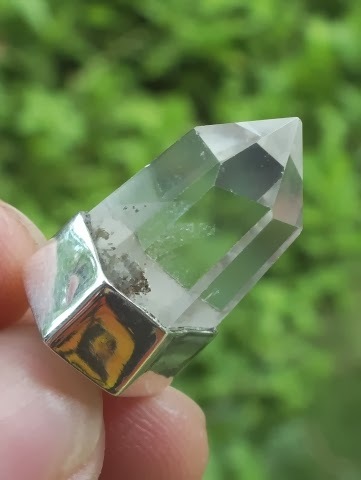 The size of the crystal is (est) 22,5mm x 14,2mm x 10,5mm. 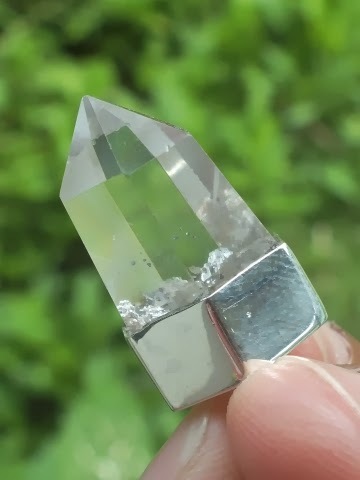 A very beautiful Natural Crystal Quartz for your precious gemstone collections!